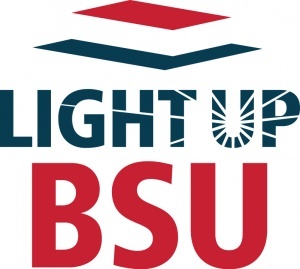 Light Up BSU, a fundraising initiative organized by former New England Patriot Matt Light’s foundation through its Lighthouse Raffles, is offering high-end access to top Boston sports events in April. The drive will benefit the Light Foundation, its annual Leadership Conference for youth that’s held at BSU, and the BSU Foundation, which supports scholarships, paid internships, undergraduate research and study abroad opportunities for BSU students. Prizes offered in the Amazing April raffle include first-round playoff tickets to the Celtics and Bruins, tickets to the first Red Sox/Yankees series of the season, and finish line passes to the Boston Marathon. All sports packages include access to special amenities. Light Up BSU is running through the month of March. For more information, visit www.lightupbsuraffle.com.